The second edition of our Growth Leaders rankings threw up several surprises. Let’s take a look at them. The first thing that jumps out is that only 15% of the businesses on our list of French businesses last year are still there one year on. And on the European list the figure drops to 5%. 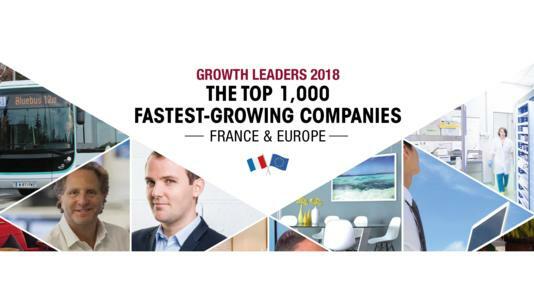 Another interesting fact is that all of those returning French and European businesses have climbed in the rankings. Proof that, while maintaining growth is far from easy, the best way to do it is by putting the pedal to the metal. Also of note, the average age of the companies on the list – five years – has not changed, which is relatively low when you take into account that the average life expectancy of a business is around 20 years, a lifespan that has declined continually since the start of the 2000s. So, how to account for so many new names in our rankings? In an ever more reactive and competitive environment, companies must adapt if they are to develop – otherwise they will disappear. In 40 years, the percentage of American companies going out of business in the first five years of their existence has gone from 10% to 30%! But there is another side to this acceleration. In the US, the average revenue of the top 500 fastest-growing companies went from 1.2 million dollars in 1992 to 8.2 million in 1995. On top of a doubling of staff size over this period, that’s a seven-fold increase in turnover. Twenty years on, again over a three year period, the turnover of today’s top 500 has multiplied by 16. Growth is, therefore, two times faster now than in the mid-nineties. One last surprise, we have seen businesses exhibiting strong growth in every sector of activity, even those sectors in the doldrums, as well as in every industry. Proof that, in a world in perpetual motion, anything is possible. Let’s now discover the names of these companies that, although often little known, have considerable potential.